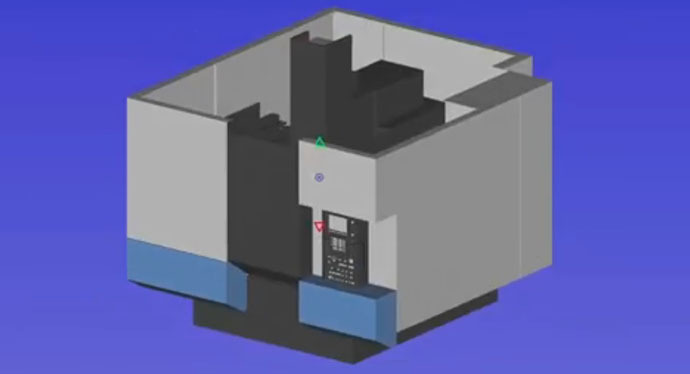 CIMCO Machine Simulation helps eliminate costly programming mistakes and accelerates onsite startup by providing a price competitive and user-friendly solution for CNC machine simulation. 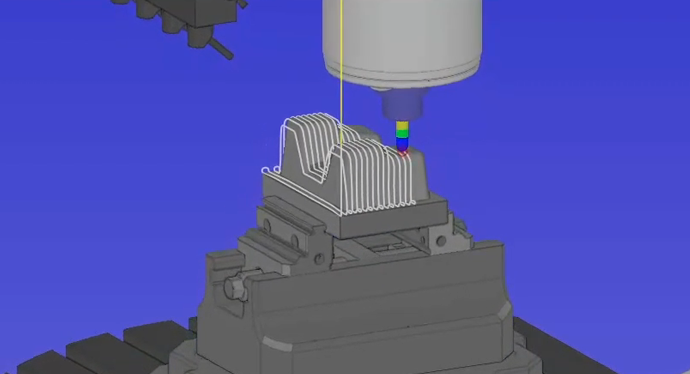 Machine Simulation enables you to prove-out your NC code on a 3D model of your CNC machine and see the exact movement of components such as heads, rotary tables, spindles, tool changers, fixtures, workpieces, and even peripheral devices. 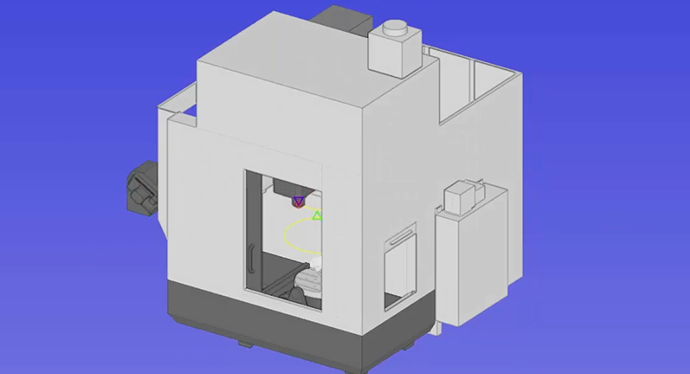 Collisions, over-travel errors, and close-calls are automatically detected to ensure that error-free code is sent to the physical machine. 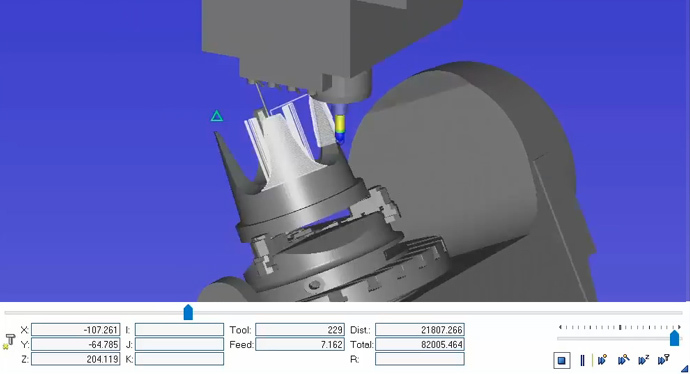 Full machine simulation using a Quaser UX600. Now with updated graphics. 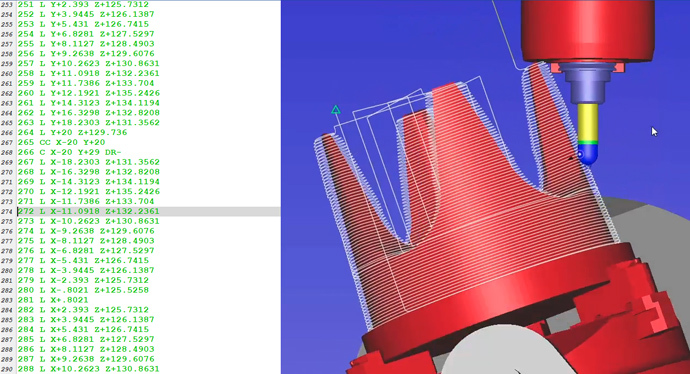 Analyze the simulation in dynamic 3D with video-style controls. 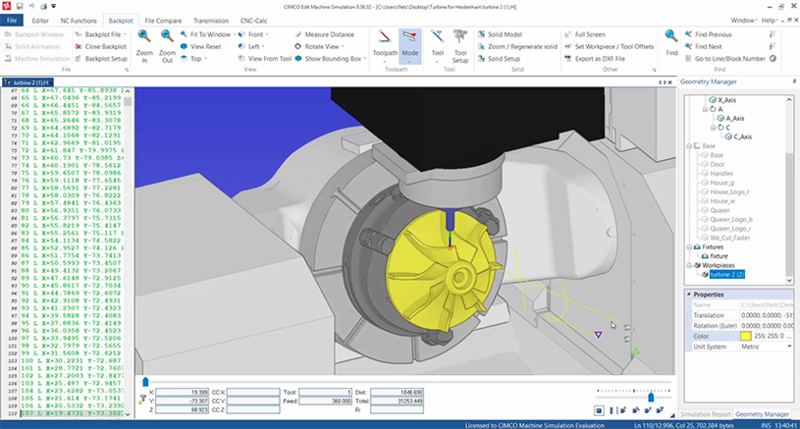 Adjustable speed in both directions and options for jumping to next/previous tool, cutting pass or move. Zoom, pan and rotate to see exactly what is going on. 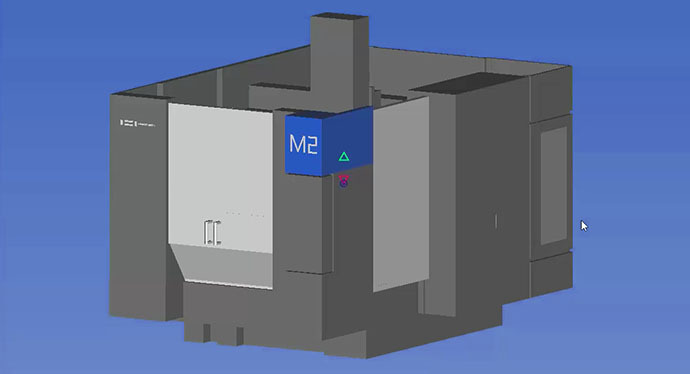 Side-by-side display of NC code and simulation. 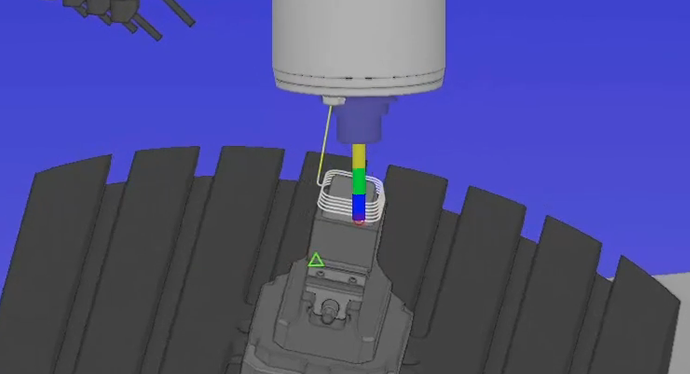 Code blocks are highlighted in synchronization with the simulation and errors are clearly visualized. 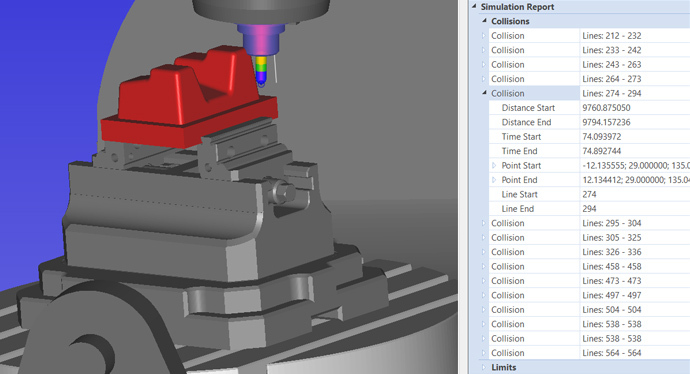 Detailed overview of all errors with auto-generated Simulation Report. 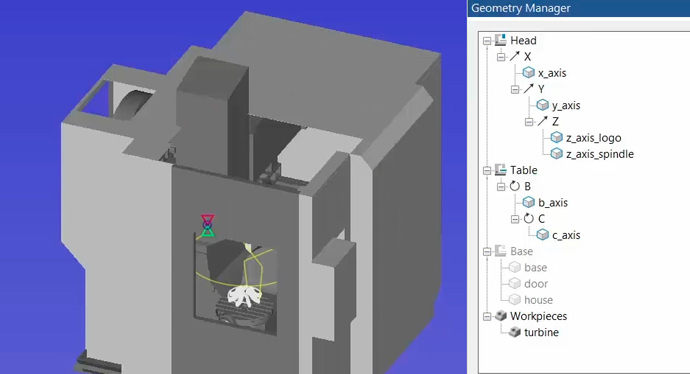 Jump directly to the code block that is causing an error, modify your code and the Simulation Report is updated to verify if the problem was resolved. 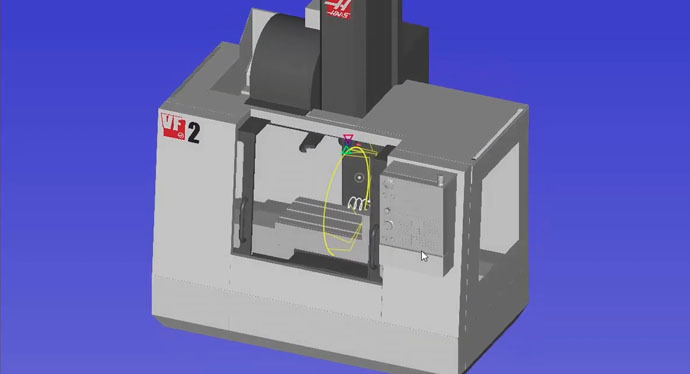 Machine definitions are visualized in a machine-tree where properties of components such as head, table, and workpiece can be viewed or visibility toggled. 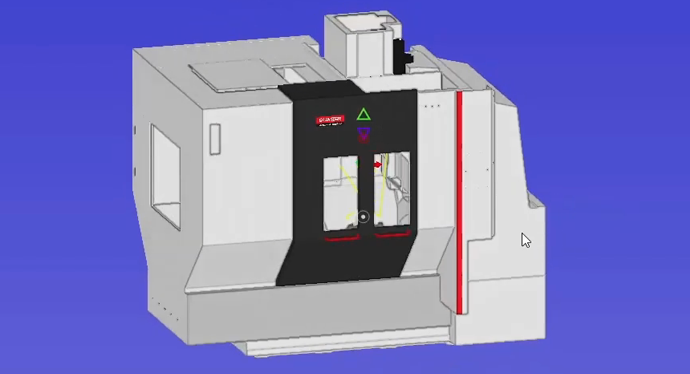 Support for 3, 4 and 5-axis milling machines are currently available. 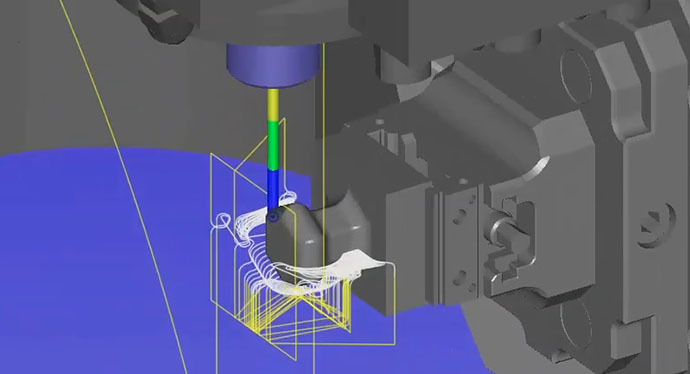 CIMCO Machine Simulation is developed as a fully integrated add-on for CIMCO Edit that works as a powerful alternative to the existing Backplot and Solid Simulation. 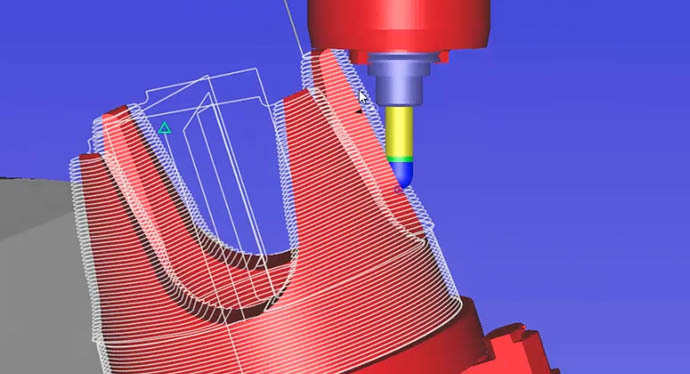 The integration also means you have direct access to all the powerful functions in CIMCO Edit that combined provides a highly effecient solution for doing iterations of simulating and fixing problems in your code. 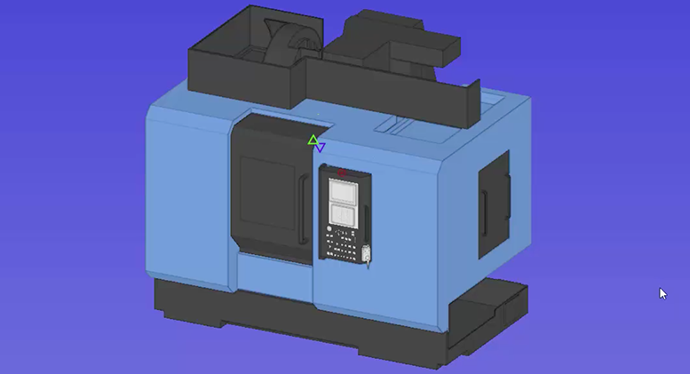 Please use the following document when providing the details of your machine(s).